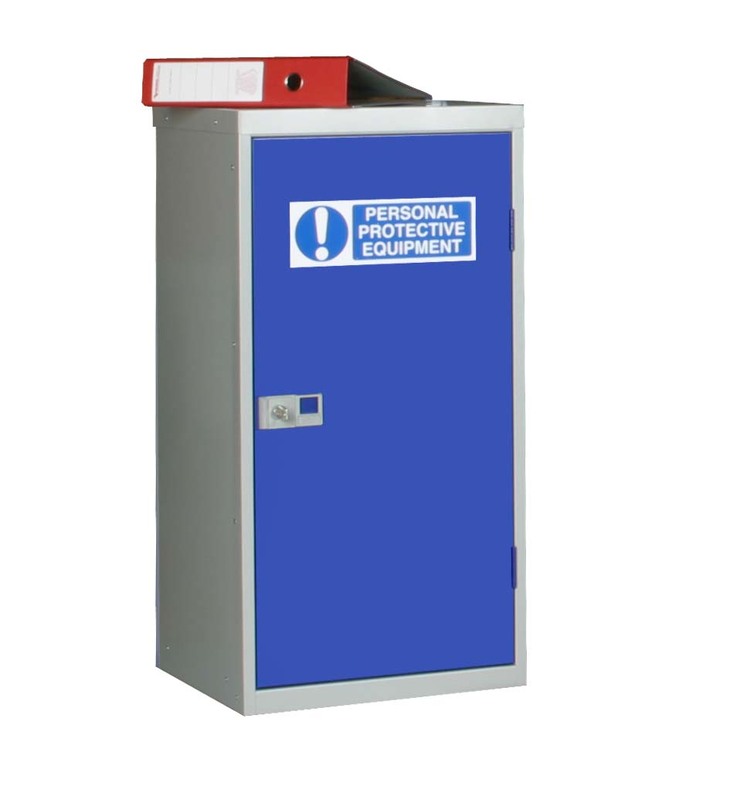 Personal protective equipment (PPE) used by workforces are often left on site and require somewhere safe to be stored for health, safety or hygiene reasons. 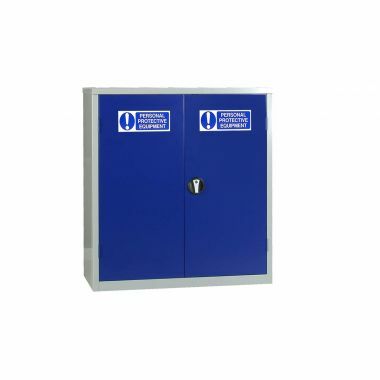 Supertuff Europe offer a wide selection of PPE storage cabinets that can safely store equipment ranging from goggles and hairnets to large jackets and overalls. 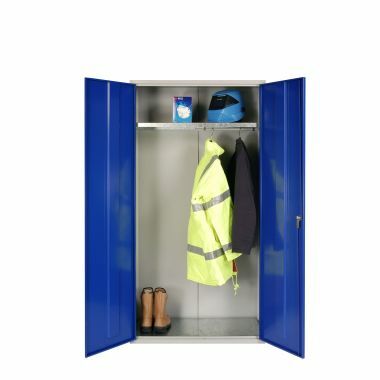 Designed to be used in almost any industrial environment, the cabinets are available in a range of shapes and sizes so as not to take up more space than they need to. 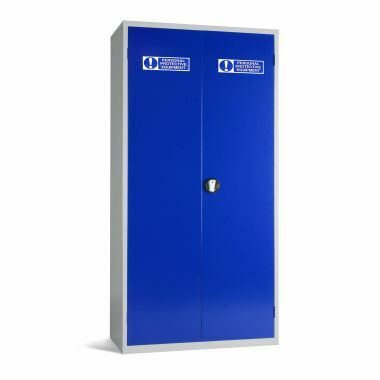 Supertuff's steel cabinets are manufactured in the UK using high quality welded steel to provide a sturdy and robust feel. 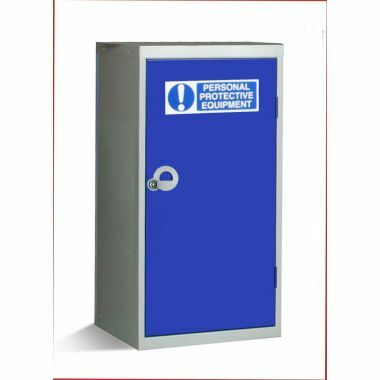 Contents are kept secure behind the doors that can be secured using the key-operated locking mechanism (double doors lock in three places), reducing the risk of unauthorised access. All doors are also reinforced with steel stiffeners to provide better structural rigidity. Explore the range and find a configuration that meets your individual requirements. 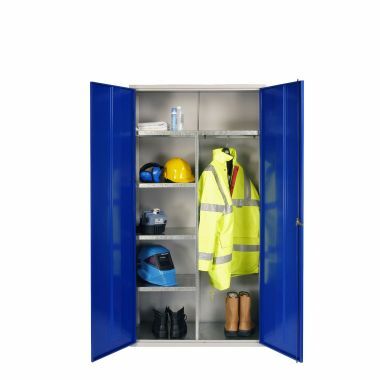 The wardrobe PPE cabinet is ideal for hanging long items like coats and overalls, whereas the clothing and equipment cupboard comes with shelves for storing smaller items. 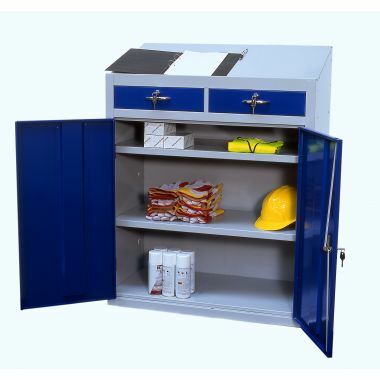 All steel cabinets are pre-assembled before delivery, meaning you can use them straight away.